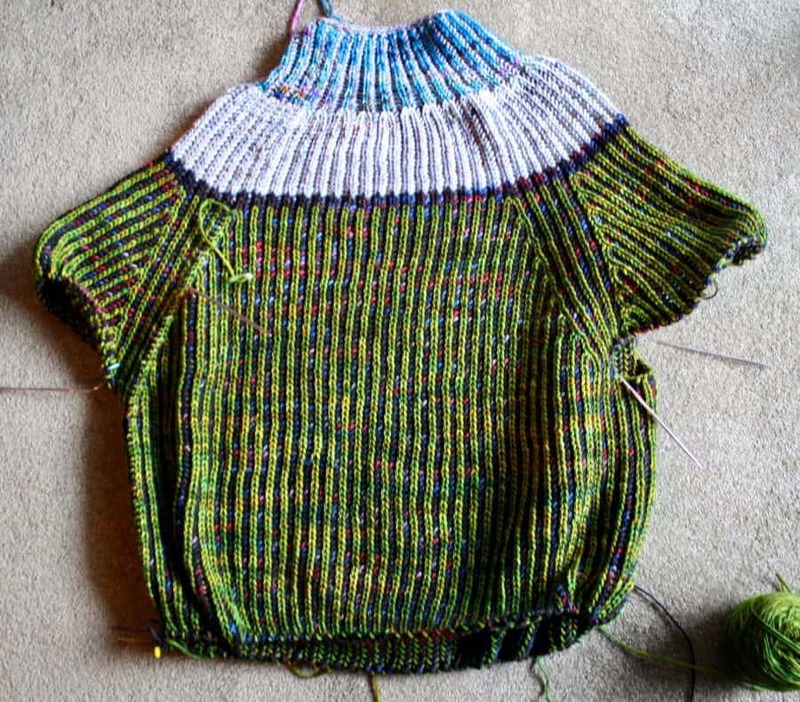 It never ceases to amaze me the things I DON’T consider when it comes to knitting. Despite all that I know about knitting, it never occurred to me that my circular sock knitting machine knits socks as if it’s knitting left-handed. 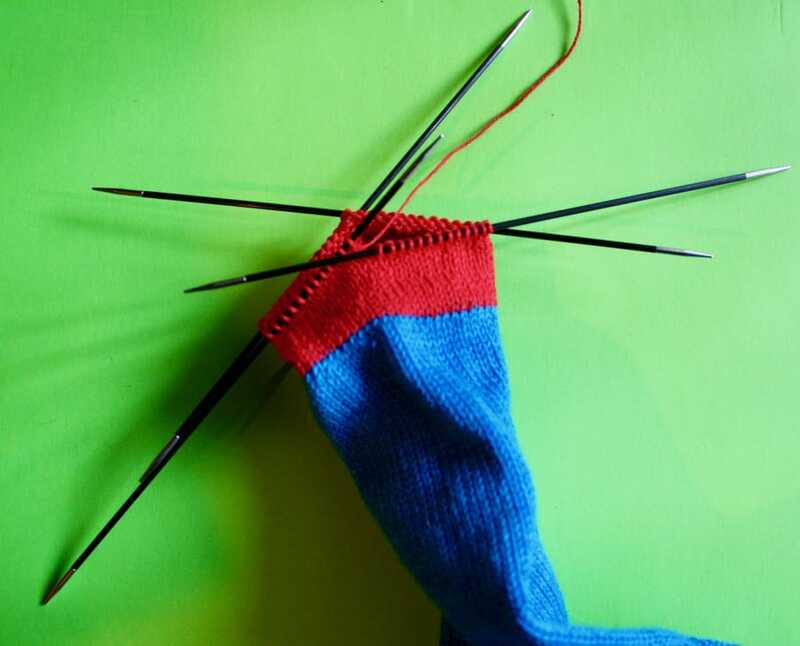 If you can understand the brief knitting video snippet above, you can imagine a hand-knitter knitting counter-clockwise around the tube of a sock. And this is the direction the ribber on my sock knitting machine goes, so any socks made with ribbing require that I crank in a counter-clockwise direction. Thus, when I take the sock off to finish it manually, it requires that I also knit in a counter-clockwise direction…or left-handed. I have always advised lefties who wanted to learn how to knit that they should just knit right-handed. 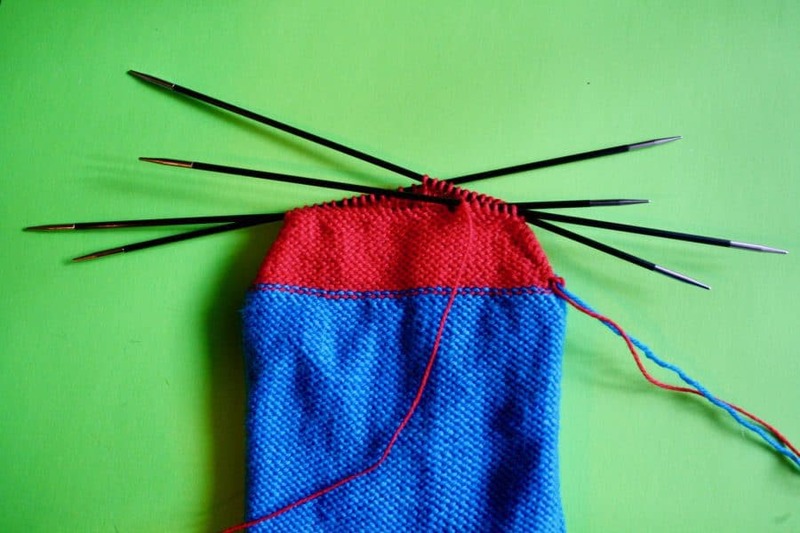 Knitting is an ambidextrous activity anyway and will feel awkward at first no matter how you knit. And since every pattern I’ve ever seen is written to be knit from right to left, I think it’s easier overall. All that being said, I don’t know how to knit left-handed. And I was a bit flummoxed about how I would finish the toe on the sock I started. Fortunately, I realized I could just turn the sock inside out and purl the toe of the sock in a clockwise (right-handed) direction. I’m honestly glad I didn’t have to learn to knit left-handed. As much as I hate purling on double-pointed needles, the idea of knitting counter-clockwise was much worse. With all the fiddling with the CSM sock finishing, I only got about 2 inches finished on the body of the Briyoke. It also seems as though I will need more yarn for this project unless the sleeves take a lot less yarn than I expected, so it looks like I’ll be placing another order from Yarn Scout. Hello, thank you for being who you are and sharing your blog! I have found shorter double-points solves many issues. You might want to invest in a set for socks and small-ish cables.